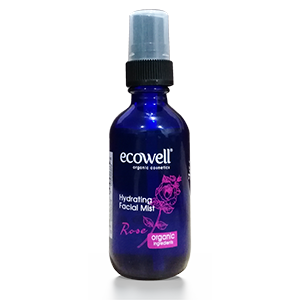 Ecowell Hydrating Face Mist deeply hydrates, clears and regenerates the skin. Its Rose and Chamomile content protects the moisture balance of skin, removing oil, dirt and blemishes, leaving your skin rejuvenated and radiant. Rose water has anti-inflammatory properties that reduce redness of irritated skin, reduce acne, and alleviate dermatitis and eczema and due to its antibacterial properties, aids in healing scars, cuts and wounds. It also helps maintain the skin’s pH balance, and also controls excess oil. Rose water contains antioxidant properties which help to strengthen skin cells and regenerate skin tissues. 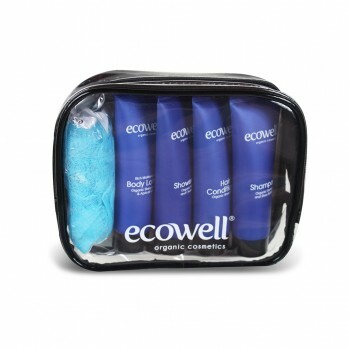 Its famed astringent qualities help clean pores and tone the skin. It also helps aging skin, keeping fine lines and wrinkles at bay and its aroma is a powerful mood-enhances which alleviates feelings of anxiety and makes your feel more relaxed. How To Use : Hold 10-12″ from face. Close eyes and spritz for a moisturizing boost. Can be used in addition to daily moisturizer, under or over makeup for hydrated, refreshed skin. Avoid spraying into eyes. Ingredients: Rosa Damascena Flower Water, **Chamoilla Recutita Flower Extract, Phenoxyethanol, Benzoic Acid, Dehydroacetic Acid.